A Swedish royal family, as closely related to a head of state, has been able to be identified as existent from as early as the 10th century A.D., with more precise detail added during the two or three centuries that followed. An exceptional case is that of Saint Bridget (1303–1373) who outside of Sweden became known as the Princess of Nericia, a title which appears to have been a noble, rather than a royal one, since she was not the daughter of a king. Historically confirmed monarchs are listed officially by the Swedish Royal Court. Until the 1620s Swedish provinces were granted as territorial appanages to royal princes which, as dukes thereof, they governed semi-autonomously. Beginning during the reign of Gustav III, and as codified in § 34 of the 1772 Instrument of Government, provincial dukedoms have existed in the royal family as nominal non-hereditary titles only, without any inherent property ownership or trust attached to them; although several members of the royal family have maintained a special public connection to, and sometimes a secondary residence in, "his or her duchy". The son of a Swedish king has usually held the princely title as a royal dynast (such as Prince Bertil, Duke of Halland), but on a rare occasion also as a rank of nobility (such as Fursten Prince Frederick William of Hessenstein), or as a courtesy title for an ex-dynast (such as Prins Oscar Bernadotte). ^ Martinus, Eivor (2014). "Furstinnan från/av Närke". Barndrottningen Filippa och hennes värld (in Swedish). Stockholm: Carlsson. pp. 115, 164 & 167. ISBN 978-91-7331-663-7. LIBRIS 16311599. 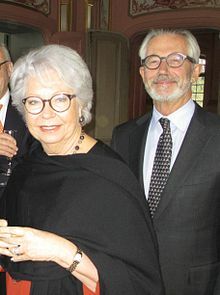 Complete list of Sweden's royal family, alphabetically, on Swedish Wikipedia.